This Kennedy challenger will almost certainly lose his race. But can he save the planet? 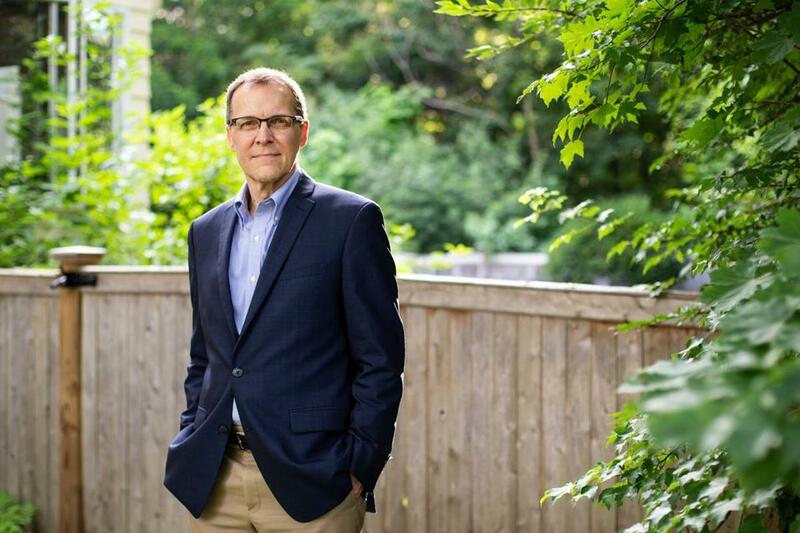 Gary Rucinski posed for a portrait at his home in Newton. Unless something truly astounding happens in the next month and a half, Gary Rucinski will not win the Sept. 4 Democratic primary against Joe Kennedy III. But don’t mistake Rucinski, 63, for your typical political also-ran. He’s not a flamethrowing weirdo, or a perennial no-hope candidate, or a kook wearing a boot like a hat. No, Rucinski, a longtime climate change activist, is a smart guy doing what so many of us these days wish we could do: He’s throwing himself headfirst into fixing what’s broken, not just in our politics but in our world. It would be easy for Rucinski to feel just as hopeless as the rest of us do sometimes. 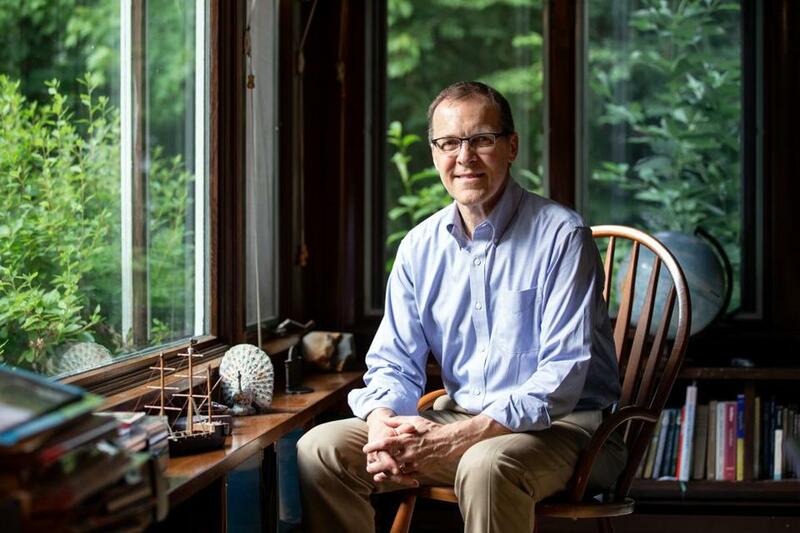 In seven years working with Citizens Climate Lobby, a nonprofit that advocates for dramatic action to combat climate change, Rucinski made nine trips to Washington, D.C. He took dozens of meetings with lawmakers. “And the policy discussion on Capitol Hill has barely budged in seven years,” said Rucinski, a project manager at MIT Lincoln Laboratory with a PhD in elementary particle physics. In January, he found himself distraught at the prospect of another election season with virtually no mention of the potentially catastrophic consequences of climate inaction — and about the future he might leave his three kids. If nothing changes soon, then what comes next — rising sea levels, ferocious storms, general dystopian hellscape — is something none of us should saddle the next generation with. So instead of continuing to plead with congresspeople, he decided to try to become one. As the Environmental Protection Agency and the Trump administration seek to roll back even modest clean-air regulations, the crisis seems more dire than ever. Rucinski and Citizens Climate Lobby advocate for a carbon fee plan that isn’t far fetched. But when was the last time you saw this plan — or, really, any plan at all — make headlines? Certainly not in the age of Trump, when one tweet can send the global media into a frenzy. “I think one of the dynamics that plays out is that people tend to focus on what’s happening in the clown car,” Rucinski said of the Trump administration’s almost daily disasters. The Citizens Climate Lobby plan, known as Carbon Fee and Dividend, would set predictable but rising prices on fossil fuels and other greenhouse gases that would quickly make clean energy sources cost-competitive. The fees on carbon would be collected and returned, minus administrative costs, to households. Import fees and rebates would discourage businesses from moving out of the country. Would it work? Well, CCL’s board includes high profile climate scientists, Obama-era energy secretary Dr. Steven Chu, and George Shultz, who served in four different Cabinet positions in Republican administrations. Can it happen? Not without the necessary political will. For any serious effort to combat climate change to take off, Rucinski said, Congress needs more people who have the issue in the front of their minds at all times. Kennedy, of course, is not some sort of science-denying luddite. When he gave the Democratic response to the State of the Union this year, he decried the administration’s environmental policies. He’s opposed the EPA repeal, under Trump, of the Clean Power Plan. He’s endorsed by the Sierra Club. Kennedy is a rising star for good reason, and Rucinski does not have a long list of policy disagreements. He just happens to live in the same district. Rucinski is realistic about his electoral chances. But campaigning — standing at a busy intersection with a sign, meeting reporters during his lunch break, giving up his evenings — is how he keeps his house in order. He’s not willing to set himself on fire in protest, he said, as prominent lawyer David Buckel did in April. But what he can do is risk the personal embarassment that comes with campaigning with no real chance of victory. But he’s here now. And his commitment to this most critical cause can’t be measured by any ballot box.